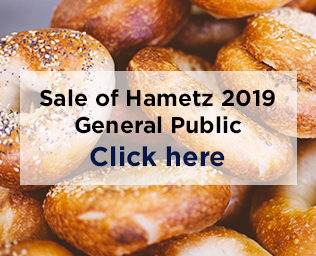 To fill in the sale of Hametz form, please click on one of the buttons below. A hard copy of the form for general public is available at the reception. Please note, the forms below may be used until Thursday 18th April at 10:00pm. To view the list of Gosh! products for Passover, click here. To view the list of M&S products for Passover (kitniyot and non-kitniyot), click here. To view the list of Gilberts products for Passover (kitniyot), click here. Please refer to recognised Kosher for Pesah lists below before purchasing your Pesah requirements. A local Rabbi should be consulted if there is any doubt. Click here for the current KLBD list for the UK. Click here for a world-wide list of products. The following products do not need to be purchased “Kosher “L’Pesah”, as they are always acceptable. 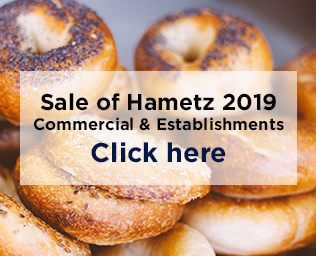 However, it is preferable when practical and feasible, to only purchase products bearing an official Kashrut logo.